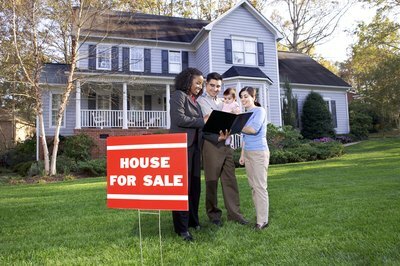 First-time buyers made up 37 percent of all home buyers in 2011. For many couples, after getting married, the next logical step in the pursuit of the American dream is home ownership. Buying a home, like marriage, requires a large commitment from both spouses, in terms of time and money. For first-time buyers with bad credit or no down payment, that monetary commitment can cost even more in terms of a higher interest rate and higher monthly payments. To help first-time home buyers purchase a home, the U.S. government offers several options for home mortgage loans. 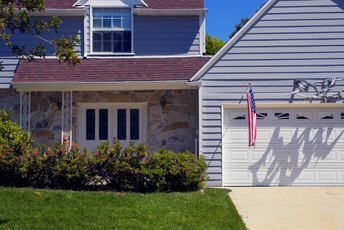 When considering a government loan, most home buyers will choose one of the two most common government mortgages, the Federal Housing Administration loan or Veterans Affairs loan. The federal government backs and insures both FHA and VA loans and both have easier qualification requirements compared with traditional private loans. Another lesser-known government loan for first-time home buyers is the USDA Rural Development Guaranteed Housing Loan, which is open to first-time buyers purchasing a home in a rural area. FHA and Rural Development loans are open to any first-time home buyers who fit the qualification criteria, while only current and retired service members and the widows of military members can use the VA loan. The mortgage amount limits vary from state to state with a FHA loan. For VA loans, there is a maximum purchase price of $417,000 for those buyers using the zero-down payment option. Additionally, first-time buyers choosing a VA loan must pay a VA funding fee, equal to 2.15 percent of the purchase price and rolled into the loan. Rural Development loans allow buyers to include the costs of home repair in the loan. For FHA loans, buyers must show employment with one employer for at least two consecutive years and have a credit score in the mid to high 600s. FHA loans also require that buyers choose a home priced low enough that the amount of monthly loan payment not exceed 30 percent of the buyer's monthly income. To qualify for a VA loan, the borrower must show proof of military service and have a stable income and mid-range credit score. Rural Development loans require buyers to have income of no more than 115 percent of that area's median income, own no other homes and use the purchased property as their primary home. Typically, private mortgages require at least 20 percent down, whereas a FHA loan only requires a 3.5 percent down payment and the VA loan and Rural Development Loan have no down payment requirements. 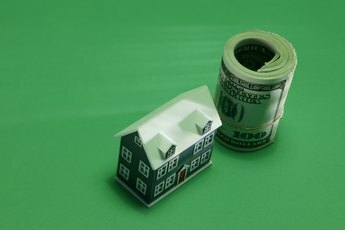 For first-time home buyers who still cannot afford a small down payment, the government offers down payment loans and assistance, such as the American Dream Downpayment Initiative. The VA loan and Rural Development loan do not require private mortgage Insurance. 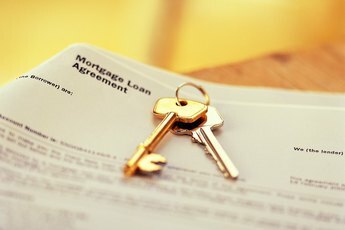 "Questions About Mortgages: Conventional, Insured & Uninsured"